Pay programs represent the largest budget item most business leaders have to manage. Add to that factor the economic, business and cultural changes of recent years and you have American companies paying more attention to compensation than probably ever have beforeâ€”and with greater urgency. 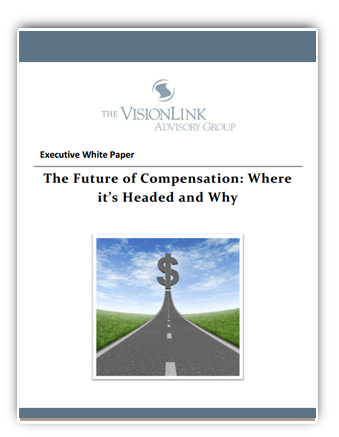 For VisionLinkâ€™s analysis of where compensation is heading and what issues business will face, download our free white paper today.